Sensors usually play a central role in Dr. Neumann Peltier technology systems. Like so many parts in the field of electrical engineering, they are based on a human organ: the sensory organs. Robotic arms imitate human extremities, CPUs the computing power of a brain and motors the power of our muscles. In this scheme, sensors take over all the impressions that we humans can perceive through our senses. Pressure, temperature, olfactory influences or visual stimuli. Of course, we concentrate our products mainly on one area: temperature. Just as our body tells us through external stimuli that we are too cold or too warm, sensors transmit thermal data to the control unit, which then corrects the temperature. However, here the temperature is not adjusted in the tenth of a Kelvin range, as in our case the window is opened or the heating turned up. This is an important function for the overall performance of our control cabinet cooling systems, because without sensitive sensor technology, precise and reliable temperature control would be difficult to achieve. Manual measurement, manual setting of the temperature and regular monitoring of the system not only make control cabinet temperature control time-consuming without an automated system, but also prone to errors. If such sensitive tasks are in the hands of people, it can unfortunately not be ruled out that either not thorough enough work is done or other errors happen. The consequences that a poorly tempered control cabinet can have are probably known to everyone who has experienced a small system error. In the worst case, the overheating of the units can lead to a total failure or, in the case of excessive cooling, to condensate formation with subsequent water damage to the electronic units inside the control cabinet. In order to avoid these scenarios, we at Dr. Neumann Peltier-Technik have made it our task to offer you an all-round happy system for control cabinet temperature control. Fast installation, simple operation, highest quality and reliable performance with only one goal: uncompromising efficiency. As already mentioned, sensor technology plays a central role in our systems. In the functionality of our sensors we work with thermocouples. These make use of the thermoelectric effect, a principle from thermophysics: even small temperature differences at the thermocouples can be converted into electrical energy. Since our sensors are designed to save energy, they operate absolutely self-sufficient during their lifetime and therefore do not require an external power source. But this is not the only advantage of our patented sensor system “TOC”. In addition to absolute energy self-sufficiency, the Thermal Observation Contactless System offers wireless functionality and an exceptionally robust design. Thus, the sensor unit itself is not only very accurate, but also well protected against external influences or extreme operating conditions. The IP56 protection class makes the TOC system immune to dust, dirt and moisture. In addition to a tolerance for ambient temperatures of -20 to 55° Celsius, the system delivers measured values of -20 to 110° Celsius. We have also developed the housing for high electromagnetic compatibility (EMC) and also designed it for use in the high-voltage sector. At an interval of ten seconds, the sensor measures the temperature and generates a detailed measurement every 120 seconds, which is then transmitted to the appropriate control unit of your cabinet temperature control system. The frequency of the measurements makes it possible to react quickly to unforeseen changes, which gives the temperature control an important stability. If the measured temperature changes above 2 Kelvin for less than 120 seconds, a value is transmitted immediately so that you can react to this change as quickly as possible. The transmission by the TOC system takes place on 868 MHz radio frequency. If you wish a higher security for the transmission of your data, other frequencies are also possible. Our sensors are equipped with a practical mounting frame, which on the one hand provides a perfect thermal separation to the outside of the control cabinet and on the other hand gives the TOC system another decisive advantage. Highest flexibility in shoring. Whether drilling for screws or other manipulations – there is no place where our TOC system cannot be installed. The contact point to the measuring object is covered with a special graphite heat conducting foil. Thus a strong accuracy of the measuring result is guaranteed and at the same time the potential equalization to the environment is created. The TOC system represents the perfect completion of our philosophy in our product portfolio: Accuracy, efficiency and simplicity. Our systems can also be adapted to your project without any problems, whether from our existing product range or by custom-made – we at Dr. Neumann Peltier-Technik want to offer you the best possible service with the best possible functionality. 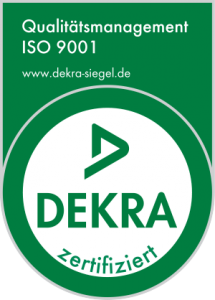 Our systems are Bavarian quality products with our personal efficiency promise. We will also find the right system for you and will be happy to support you personally in all technical matters. Equip yourself with an efficient, safe and patented system to achieve perfect and reliable temperature control of your control cabinet. If you have any further professional or technical questions, please contact us personally – Dr. Neumann Peltier-Technik looks forward to starting a new project with you and completing it successfully.